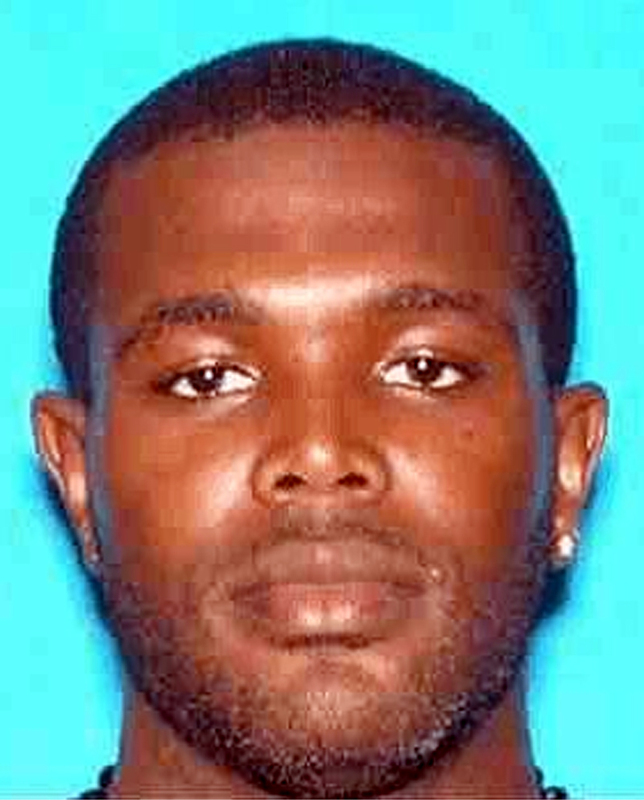 [LASD] – Armed and Dangerous felony Suspect Darnell Washington escaped from county jail in San Bernardino County with the aid of his wife Tania on Aug. 28, 2012, and is now wanted for shooting a deputy sheriff in Los Angeles County on Sunday as well as multiple carjackings. The 39-year old Temple Sheriff’s Station deputy sustained non-life threatening injuries. He was treated at a local hospital and released the same day. The deputy is a 11-year veteran of the Sheriff’s Department, and has been assigned to Temple Station for the past 6 years. 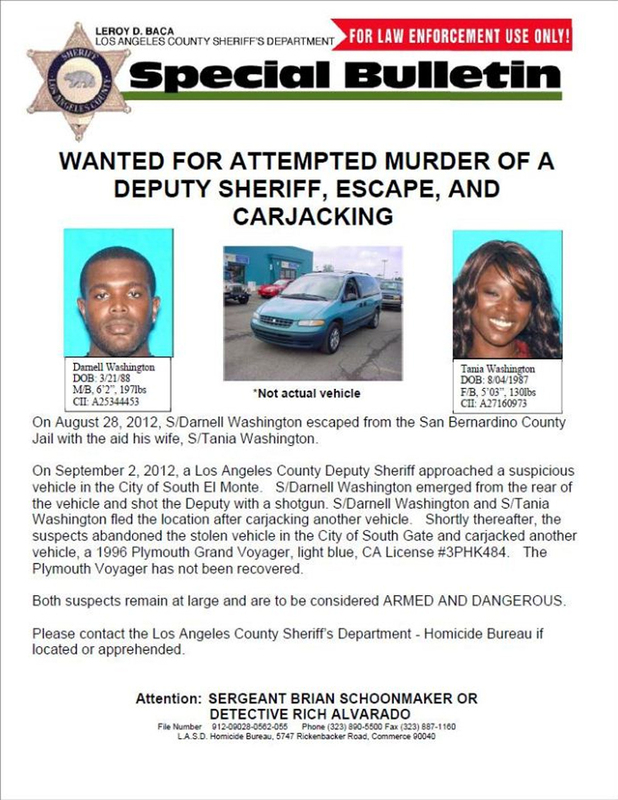 The suspects were last seen in South Gate on Sunday, September 2, 2012, at approximately 9:00 A.M. Both suspects remain at large and are considered ARMED AND DANGEROUS. 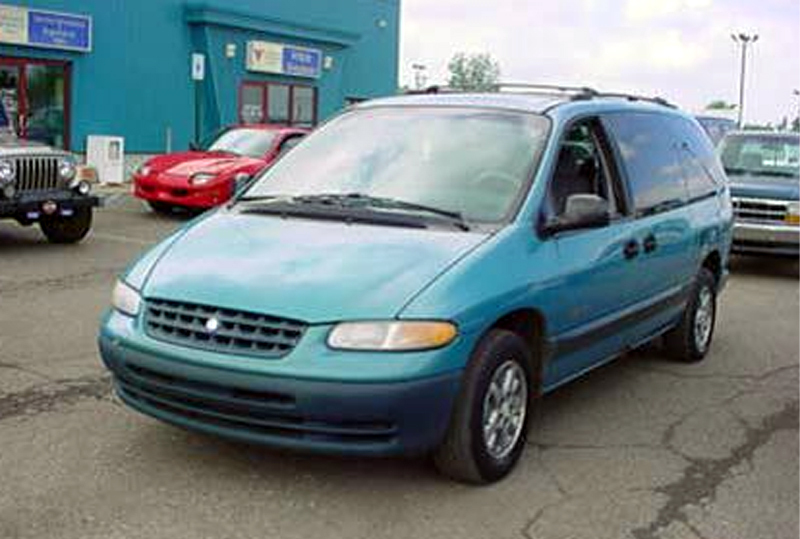 If you see the suspects or vehicle call 9-1-1. 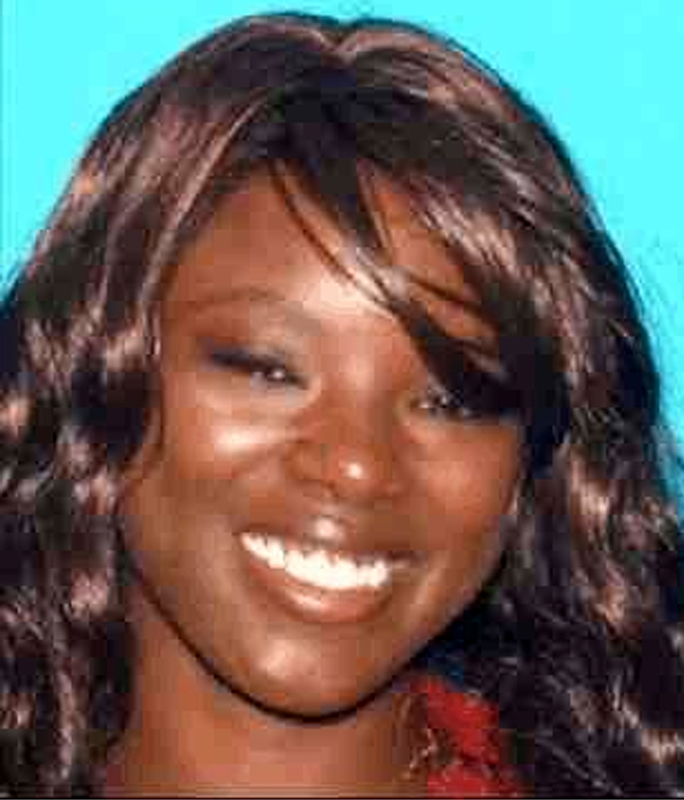 Please contact the Los Angeles County Sheriff’s Department – Homicide Bureau if located or apprehended. Sheriff’s Homicide detectives are seeking the public’s help in identifying any other possible victims and/or witnesses. Anyone with information is asked to contact Sergeant Schoonmaker or Detective Alvarado, Los Angeles County Sheriff’s Department, Homicide Bureau at (323) 890-5500. Or if you wish to remain Anonymous, call “LA Crime Stoppers” by dialing 800-222-TIPS (8477), texting the letters TIPLA plus your tip to CRIMES (274637), or using the website http://lacrimestoppers.org.